Sacramento in '14 and Rochester in '15 would probably beg to differ. They're both "independent". They were affiliates. Sacramento with Portland/San Jose and Rochester with New England (unless they dropped that affiliation by 2015). Fair, although I consider "affiliates" independent owned and operated teams. They just get some potential loan privileges (some of which don't see much benefit). Sacramento definitely felt the loan privileges. 8 players from Portland and San Jose were on the team -- Jake Gleeson, Mike Fucito, Adam Jahn, Tommy Thompson, George Fochive, Alvas Powell, JJ Koval, and Steven Evans. All weren't with the team for the USL Cup, but that's a decent crop of players to help a first-year club out! Don't know about Rochester's season. It's not like New England has had many players anyone would want to take. HA! Congrats to Louisville City on winning USL Cup. I would've loved seeing OKC battle for the title, but it was a fun game and great finish nonetheless! Also, big props to the supporters for making the atmosphere one worthy of USL Cup! It was fantastic and helped give it the big-time feel the match deserved! Below are the fixtures for the fourth round proper as this draw has been completed. 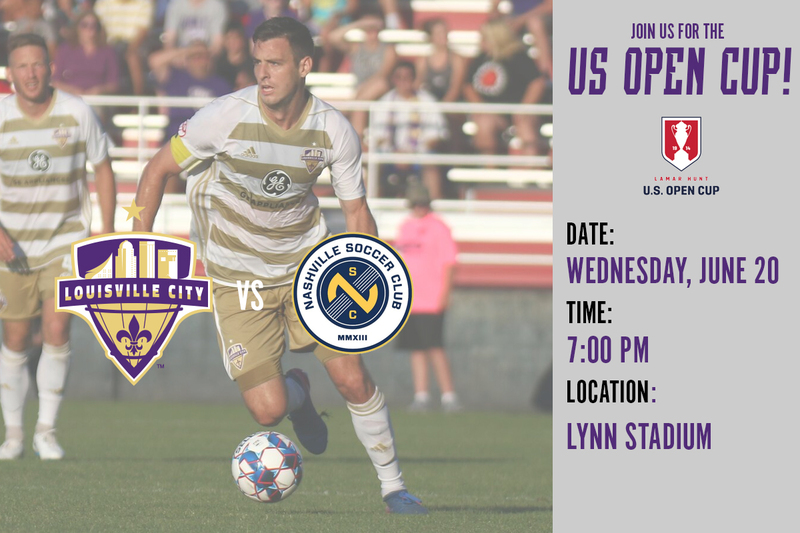 #USOC2018 Date Change The Fourth Round game between @loucityfc & @NERevolution will now be played on Tues. June 5 @ 7 p.m. ET @ Lynn Stadium (Univ. of Louisville). Blando13 and Justin O repped this. All the Fourth Round winners will find out their next opponent at 11 a.m. ET on Thursday, June 7 when U.S. Soccer conducts the Round of 16 Draw, which will reveal the final bracket for the 2018 U.S. Open Cup. The Draw will take place at U.S. Soccer headquarters in Chicago and will be streamed live on ussoccer.com. 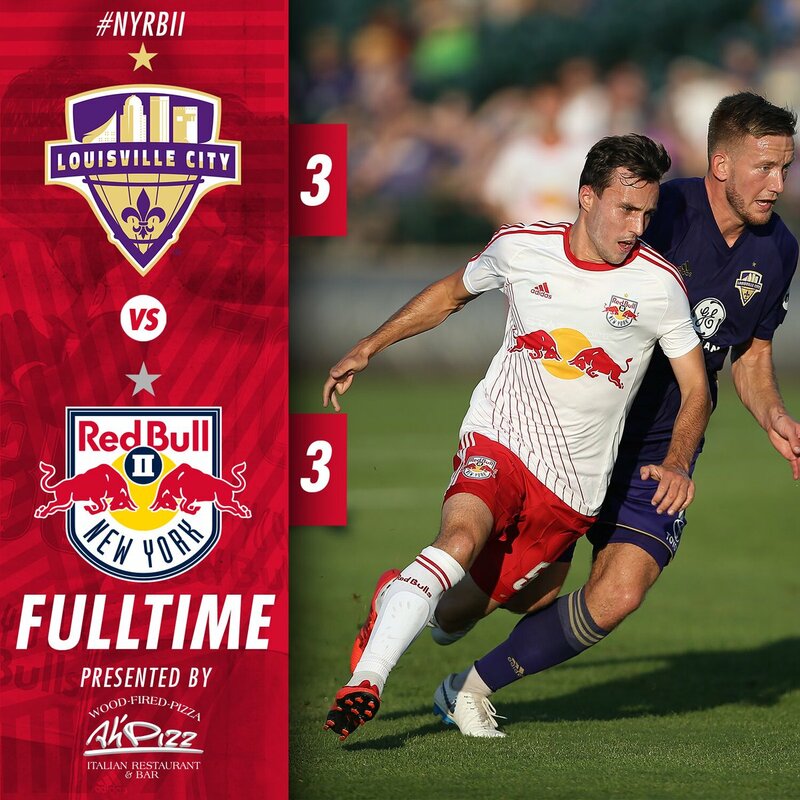 After knocking off Major League Soccer's New England Revolution on Tuesday, Louisville City FC will face Nashville SC at Lynn Stadium, with date/time TBD in the Round of 16 as our quest for the cup continues! For more information, call (502) 384-8799, option 2 or email us at tickets@louisvillecityfc.com. Orlando City appear to be on the brink of hiring a replacement for recently fired head coach Jason Kreis. According to The Athletic, the Lions are nearing a deal with Louisville City boss James O’Connor to take over the struggling Eastern Conference side. Though I support from afar, I proudly support my hometown club, Lou City, and I am equally as proud to see O'Connor make the leap to MLS. Given the links between the club and Orlando City, O'Connor is a natural fit. It made sense from the get-go once Jason Kreis was canned. Sad to see O'Connor go. I was really hoping he could stay on to defend the Title and open the new stadium. But it seemed inevitable O'Connor would find himself in MLS. He's one of the brightest coaches in America. With that said, I hope the Lou City brass continue the momentum of the club and hit a homerun with a new manager. The name that immediately popping into my head, if they wanted "local favor" would be Ken Lolla at U of L. He's taken U of L (much to the chagrin of this UK alumni) to unprecendented heights. His name was been attached to couple of assistant jobs in MLS and he seems ready to make a jump - if he wanted it. If that did happen I could see him bringing in Louisville native, current U of L assistant, and pro player John Michael Hayden as a righhand man.